(Natural News) If you’ve begun to notice that your favorite video content is no longer showing up like it once did when searching for it on YouTube, there’s a reason for that: YouTube is now actively censoring independent content and replacing it with mainstream media propaganda in order to cater to the demands of Leftists and steer the narrative back towards the globalist agenda. During a recent episode of The Alex Jones Show, independent commentator Paul Joseph Watson revealed how YouTube has altered its search algorithms to prop up failing fake news outlets like CNN, which now appear at the top of the search query list, in many cases. “Basically YouTube, which is the second biggest search engine in the world, changed its algorithm back when Alex Jones was completely ‘un-personed’ and de-platformed to the point that whenever you type in, whenever you search for any kind of news event on the YouTube search engine, you are met with a wall of mainstream media,” says Watson. 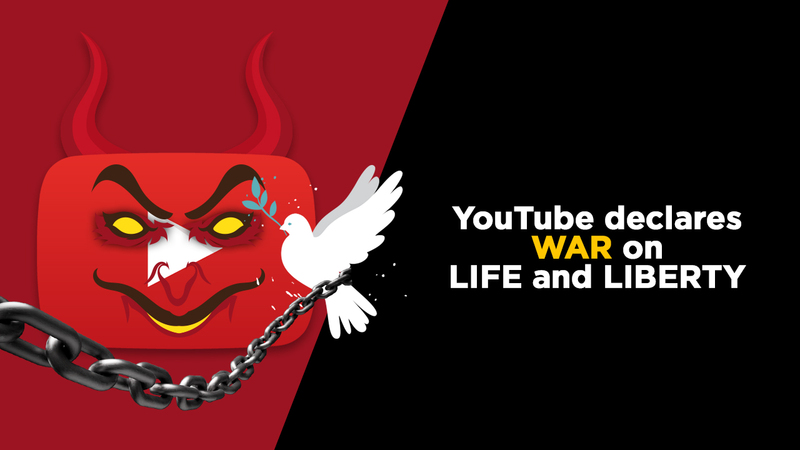 Watson highlights abortion as one of the topics that YouTube is altering its search results for, following a complaint that was reportedly filed by a disgruntled writer over at the failing, far-left online rag Slate. Glaser is apparently of the same persuasion, believing that videos promoting abortion represent “more credible news content” compared to videos that reveal the truth about how abortion involves ripping the head and limbs off of a living, breathing baby that’s living inside of his or her mother’s womb. And it’s not just the word abortion that YouTube has chosen to tamper with in terms of what its search engine pulls up upon request. According to Watson, the tech giant is soon planning to target many other search terms for query meddling, further indoctrinating the minds of its users with pre-selected propaganda content. “There’s going to be a big story coming out quite soon about how YouTube has taken certain key search terms related to news events, related to the culture war, related to politics in general, and changed them, possibly at the request of Democratic lawmakers,” Watson adds about YouTube’s collusion with far-left politicians to restrict online free speech. This is a big reason why Natural News founder Mike Adams, the Health Ranger, decided to roll out the YouTube alternative Brighteon.com, which we encourage readers to take a look at at this link. You can also keep up with the latest news about tech giant censorship by visiting Censorship.news.